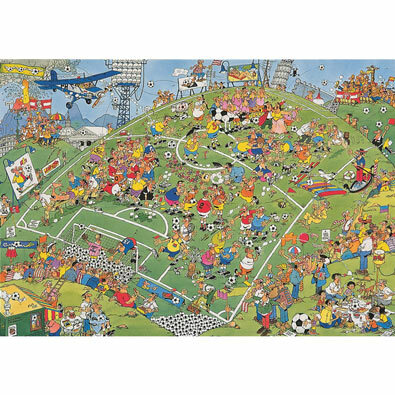 This 500 piece jigsaw puzzle is designed by Jan van Haasteren and measures 19-1/4" x 26-3/4". This 1000 piece jigsaw is designed by Jan Van Haasteren and measures 20" x 27". This 1000-piece jigsaw is designed by Jan van Haasteren and measures 19-1/4" x 26-3/4". Set includes two 1000 piece puzzles, each measuring 19-1/4" x 26-3/4"; Eleven City Ice Tour, and New Year's Dip. Includes a free scarf.